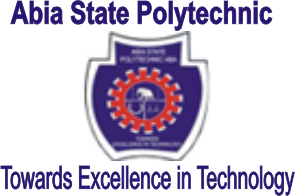 Abia State Polytechnic has recovered more than N43m from students who faked the school’s receipts, the Acting Rector, Prof. Ezionye Eboh, has said. Eboh, while briefing newsmen in Aba, Abia State, on the issue, said more than 700 students were involved in the act of obtaining fake receipts from unauthorised sources. He said the students would be punished, to serve as a deterrent to others. Eboh also said the Police had arrested a woman who operated a business centre near the polytechnic for allegedly issuing students with fake receipts. He said the woman worked for a lecturer and that she charged N10,000 for the fake, stamped receipts, thereby aiding students to evade payment of the N50,000 tuition. According to the rector, the institution’s management discovered the forgery when it made it mandatory for students to show the receipts issued by the school before writing examinations. He said the lecturer involved had been suspended and that students suspected of the fraud were being investigated. The Abia Police Public Relations Officer, DSP Geoffrey Ogbonna, confirmed to the News Agency of Nigeria on Thursday that the name of the woman connected with the issuance of the fake receipts is Caroline Augustine. He said Madam Augustine has been charged to court.